Many women with Endometriosis suffer from recurrent cysts on their ovaries. But why? And what exactly is a cyst? A cyst is an abnormal sac inside your body, completely enclosed, and it may contain liquid, gas, pus, fluids, semi-solid, or solid materials. Imagine a blister, full of puss, tight and ready to be popped. Now imagine that inside your body : a cyst is kind of like that. However, if a cyst is full of puss, it is known as an abscess. Cysts are typically non-cancerous, although some may lead to cancerous growths or tumors. They are usually caused by an infection or clogging of the glands, although they may be caused by genetics, chronic inflammatory conditions, injury, cellular defects, or even parasites. Cysts can grow and shrink, appear, disappear, and reappear. They can appear anywhere inside your body and can range in size from microscopic to gigantic! The largest ovarian cyst on record was removed in 1905, weighing in at 328 pounds,; the surgery was performed by Dr. Spohn in Texas…everything really is bigger in Texas!! Most cysts do not cause any pain; however, they may become inflamed, rupture, become infected, or can even displace internal organs, causing severe pain and discomfort. There are literally hundreds of different types of cysts, including cystic acne, ovarian cysts, and ganglion cysts (just to name a few). Many cysts go unnoticed because they do not cause any pain or side effects or may be found internally growing adjacent to organs with no physicals signs or symptoms of their presence. Some patients only become aware of a cyst when they have a noticeable lump beneath their skin. Cysts found within the breasts may be felt as a lump during a routine breast examination. Certain cysts that may form on the brain can cause headaches. Some cysts may be physically felt by palpation if they are close to the surface of the skin while others may only be diagnosed during imaging studies, such as an ultrasound, CT scan, or MRI. Treatment varies from cyst to cyst; patient to patient. Most cysts do not require any treatment. Large cysts; however, are routinely surgically removed. Cysts that are fluid-filled may be drained via a long needle. Fluids or tissues from the cysts will likely be biopsied to ensure there are no cancerous cells present. Some cysts are caused by medical conditions (such as Polycystic Ovary Syndrome or Fibrocystic Breast Disease). In those instances, the medical condition is treated in the hopes the cysts will be resolved. Polycystic Ovary Syndrome is an endocrine disease that effects women after puberty. The ovaries produce more Androgen (aka the male hormone) than normal and it affects the release of eggs during ovulation. This inbalance may also cause several follicles to remain inside the ovary, causing small cysts to develop. Since the egg may not be able to properly develop and release, periods may be missed or are irregluar. PCOS may cause irregular periods, hormonal inbalance, increased growth of facial hair, male pattern baldness, infertility, and cysts within one or both ovaries. As many as 1 in 10 women suffers from PCOS, yet the cause of PCOS is unknown, but may be attributed to insulin levels, inflammation, or it may even be hereditary. Birth control pills may be prescribed to women suffering from PCOS to regulate their periods and hormones. 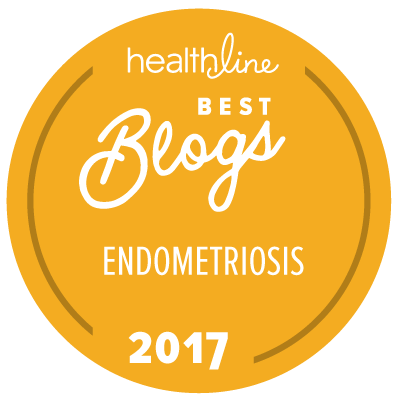 Many women with Endometriosis have either been misdiagnosed in the past as having PCOS, or have been diagnosed with both PCOS and Endometriosis. Unfortunately, there are no tests to diagnose a woman with PCOS; it’s a matter of exclusion of other diseases that leads to the diagnosis of PCOS, including a thorough family and medical history given to your physician. 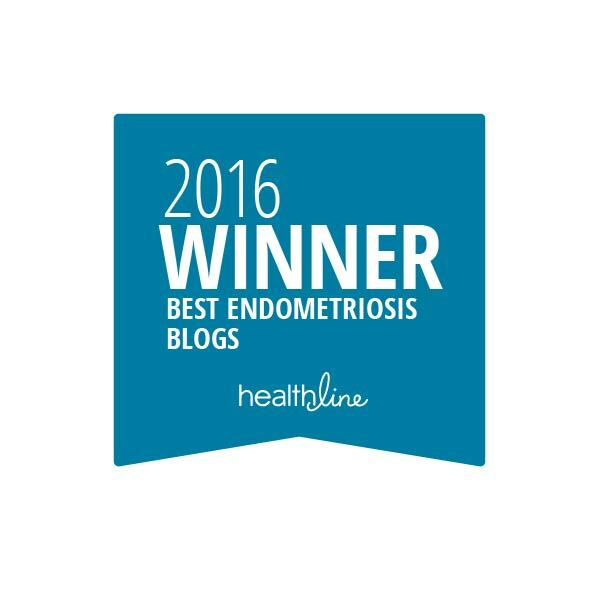 60% of women with Endometriosis also suffer from ovarian cysts. The link remains a mystery; however, may have something to do with ovary trying to contain the foreign object (or the Endo implant), causing a cyst to develop in or on the ovary. Women with Endometriosis often develop Chocolate cysts (aka Endometriomas), which get their name from their dark brown appearance: the endometrial blood which is shed during each period is trapped within the walls of the cyst. These cysts may rupture on their own, or continue to grow and may restrict the functions of the ovaries or Fallopian tubes.